Located off the Golf Course Extension Road in the prime residential area of Gurgaon Sector 66, the 11-acre IREO Uptown is about 20-25 minutes from Delhi and is connected to all the surrounding areas through an excellent network of roads as well as the metro rail. 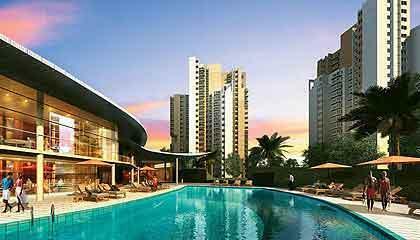 On offer are spacious 2, 3 and 4 BHK apartments ranging between 1430 and 2004 sq ft. Designed with three sides open, the units feature 10-feet high ceilings to replicate villa-like living. Modular kitchen and variable refrigerant flow technology are some of its other highlights. The project offers international-standard lifestyle amenities such as clubhouse, mini-theatre, sports courts and swimming pool. Integrated facilities within the township include school, shopping mall, hotel, offices, etc.